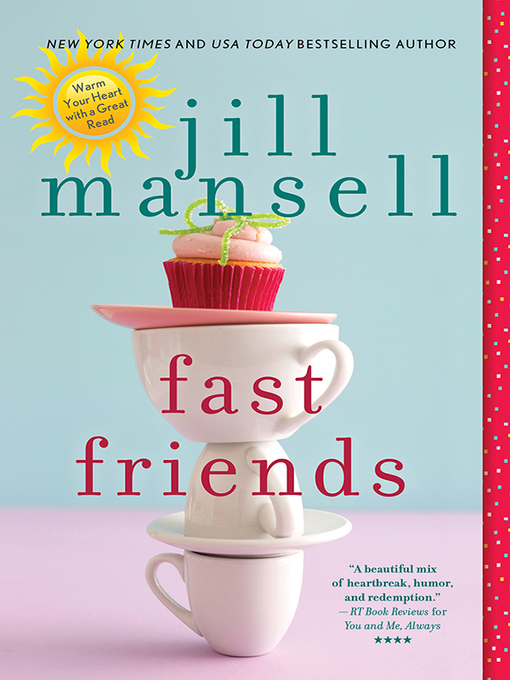 International bestseller Jill Mansell delivers an enchanting, feel-good tale about the power of friendship never before published in the U.S. Isn't life more fun in the fast lane? When bored housewife and mother Camilla Stewart impulsively invites her old schoolfriends for dinner, she hardly imagines that the evening will shatter her comfortable existence. But Roz Vallender and Loulou Marks are no ordinary guests. Roz is a stunning and self-assured TV presenter, while the reckless Loulou owns Vampires, the trendiest wine bar in town. When they reveal that Camilla's husband Jack has been playing around, Camilla determines to make some changes. With a little help from her friends, she soon finds out that life in the fast lane is a lot more fun—and the future still holds plenty of surprises.